Marula oil has 3 times as much vitamin C as an orange?! la tree have actually been used in Africa for years, and personally, the oil has been a miracle for my skin. Renowned for fighting infectious diseases, stings and bites, and inflammation, it is no wonder why marula oil is now streaming its way into our world of beauty. Within a week of using, my skin starting looking plumper, and after years of dealing with hormonal acne, I was starting to see the inflammation and redness was taperoff. This oil gives you that that hint of glint, and it is an amazing to combine with your moisturizer for added hydration. Makeup application suddenly became simpler (bye bye primer), and my skin (yes, within a week) was starting to develop a more even texture. 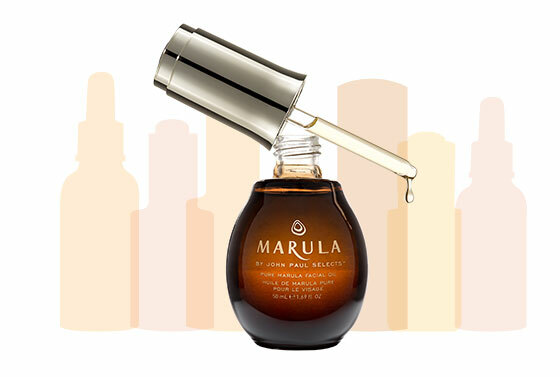 Why do we love this particular marula oil though? John Paul selects is on a mission to create sustainable employment to woman in Africa. The marula trees themselves are protected in Africa, and the harvesting and production of the oil is environmental friendly. The fruit of this tree is sacred and “only the fallen fruit is collected [to make the oil]…this protects the wild stands of trees which would normally be cut down and cleared for industrial growth” (marula.com). Made up of only one ingredient in this cold pressed bottle of love, I feel safe. It has been a month and I am thoroughly impressed. Whatever your concern may be…dry, combination or oily skin? Preventative aging or visible signs of aging? Acne, sun spots, acne scars (caused by inflammation), or just inflammation itself, I have full confidence in this product. Marula oil will change your beauty routine tremendously.